Richard Carl Jeffrey (1926-2002) was a member of the Philosophy Department at Princeton University 1974-1999. Born in Boston, Jeffrey was a Navy veteran of the Second World War before earning his M.A. from the University of Chicago in 1952 and his Ph.D., from Princeton in 1957. He was a contemporary philosopher who would not have bristled at being styled a Logical Positivist, or better, a Logical Empiricist. As a student at Chicago and Princeton in the fifties, Jeffrey was fortunate enough to work with the most able exponents of that new, “scientific” approach to philosophy. Most of his crucial teachers were emigres, who had participated in invention of Logical Positivism in Vienna and Berlin in the twenties and early thirties, and had then abandoned Europe because of their prescient contempt for the growing power of Hitler. At the University of Chicago, Jeffrey worked closely with the famed Rudolf Carnap on the foundations of probability and statistics, continuing to develop and expand these interests as a graduate student at Princeton under the supervision of Carl Gustav Hempel. Consonant with the Positivist sense of philosophy as an adjunct to the sciences, Jeffrey’s first academic position after completing his Princeton Ph.D. in philosophy was as an assistant professor of electrical engineering at M.I.T. This was followed by teaching positions in philosophy at Stanford University, The City University of New York, and the University of Pennsylvania. Jeffrey returned to the Princeton Philosophy Department in 1974. He was elected to the American Academy of Arts and Sciences in 1994, and he served as President of the Philosophy of Science Association from 1999 to 2000. 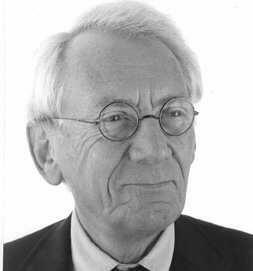 Jeffrey’s work spanned decision theory and epistemology, reaching into the philosophy of science, the philosophy of mind, and value theory. The work was unified by his commitment to a version of Bayesianism, the thesis that rationally making up one’s mind is a matter of skillfully adopting an assignment of subjective judgmental probabilities, which are then updated in a characteristic way under the barrage of sense-experience. A simple view to state, Bayesianism has implications not only for traditional areas of philosophy such as the theory of knowledge, but also for the methodology of the social sciences. In more recent times Bayesianism has also become a dominant approach in statistics. By clarifying the foundations of Bayesian methodology, Jeffrey prepared and accompanied this development. The Logic of Decision, which appeared in 1965, was Jeffrey’s first, very influential book. Written when Jeffrey was a visiting member of the Institute for Advanced Study, it was greatly influenced by his weekly meetings with Kurt Goedel, the foremost mathematical logician of his generation. There he presented a new theory of decision-making under uncertainty, and a distinctive account of plausible or probable belief. The book contains a simultaneous axiomatization of the rational constraints on belief and desire, and proves a representation theorem suggested by the ingenious work of Ethan Bolker. Jeffrey also wrote two widely-used textbooks in logic: Formal Logic: Its Scope and Limits (1967), and Computability and Logic (1974), co-authored with George Boolos, and, subsequently, with John Burgess. Generations of students have come to master both elementary and advanced logic from those texts, and in a very efficient way. His other works include Probability and the Art of Judgment (1992), a collection of many of his most influential essays; Subjective Probability: The Real Thing (2004), a concise survey of basic probability theory from a thoroughly subjective point of view; and 'Miscellany of Works on Probabilistic Thinking,' a website. Among the essays reprinted in Probability and the Art of Judgment is "Probable Knowledge" (l968), one of the earliest in which Jeffrey championed Radical Probabilism, his own preferred version of Bayesianism. Radical Probabilism is the view that in rationally adjusting our beliefs we never have recourse to certainty. Thus began Jeffrey's identification with Carneades, the ancient Greek critic of dogmatic certitudes, who advocated that we base our lives in to pithanon, which roughly translates as the plausible or the probable. In life, Jeffrey took to heart the ancient view that the philosopher has a special obligation to be joyful, and that sadness is a form of weakness of mind. Accordingly, Jeffrey was a wit, a bon vivant, and an unrelenting opponent of the pompous and the self-righteous. To his friends and colleagues, he was known as “Diamond Jim:” the nickname recalls the legendary riverboat gambler who was supposed to have made a living off the theory of probability. Though his seminal contributions to decision theory, and his continuation of the program of Logical Empiricism, Jeffrey epitomized one of the most original and innovative philosophical movements of the 20th Century.